Hello from the other side… I’m all moved in, and the lack of wifi started to make me cry so Chris and I are camping out in Joe & the Juice for a few hours to catch up. It’s official – I can no longer use Taylor Swift’s 22 as my anthem, because on Saturday I turned 23… We had breakfast at Duck & Waffle, which is my favourite place to eat in London – mainly for the views. On the 40th floor, you can see everything in London – it’s such a cool view. It comes with the added bonus of providing me with waffles, so it’s pretty much the best. Then after breakfast, Chris and my mum surprised me with a trip to Brighton – I die. 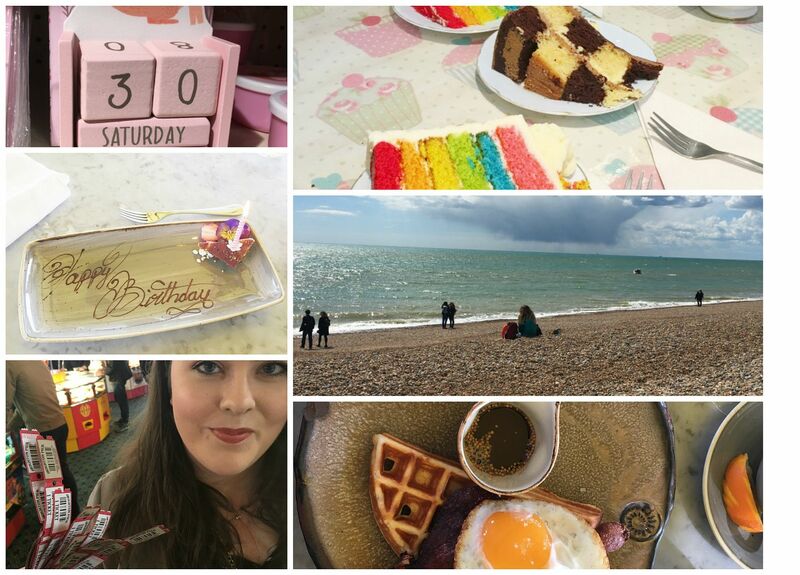 The weather managed to keep it together, and we spent the day strolling around – we did the pier, we did the lanes, we did fish and chips and we did rainbow cake. Pretty much the best day, and a very nice way to spend my birthday.